Episode 146 - Heroes Con Recap with Rick Remender, Julia Wertz, Francesco Francavilla, Joel Buxton & Shane Heron! Comic News Insider: Episode 146 is now available for free download! Click on the link or get it through iTunes! Sponsored by Dynamic Forces. Comic News Insider: Episode 145 is now available for free download! Click on the link or get it through iTunes! Sponsored by Dynamic Forces. CNI One-Shot! : Nathan Fillion is now available for free download! Click on the link or get it through iTunes! Sponsored by Dynamic Forces. Jimmy sat down with the hilarious, generous, and awesome Nathan Fillion for a lengthy interview covering his career from One Life to Live to Firefly to Lost and even his recent stint on Desperate Housewives. They also talk about some of his current work on it's way out and the pilot he is shooting here in NYC. They go over some proper fan etiquette, try to remember if they met back in 1994, and Nathan gives some great advice to all of you struggling actors out there. 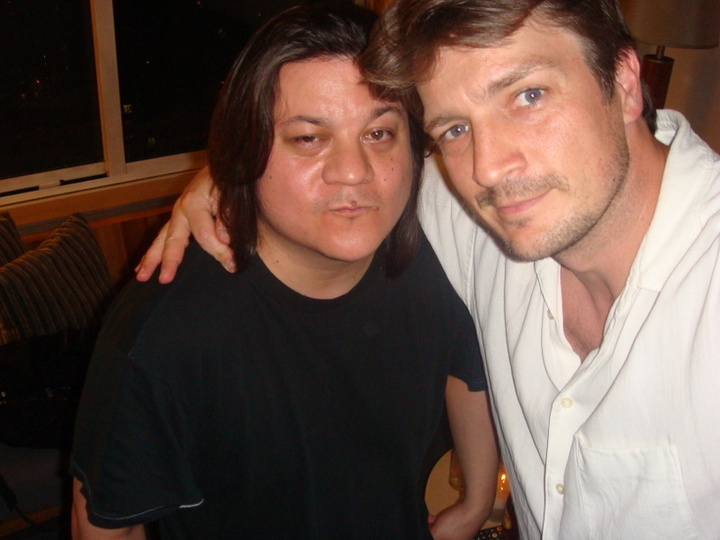 Again, many thanks to Nathan for taking the time and for just being an overall nice and gracious guy! Comic News Insider: Episode 144 is now available for free download! Click on the link or get it through iTunes! Sponsored by Dynamic Forces. COME BACK ON SATURDAY FOR A SPECIAL CNI ONE-SHOT WITH NATHAN FILLION!!! Episode 143 - More Random Souffle with Kevin Conn, Kelley Lynn, "Alan Moore", "Paula Dean", "Dan Didio" and more! Comic News Insider: Episode 143 is now available for free download! Click on the link or get it through iTunes! Sponsored by Dynamic Forces.